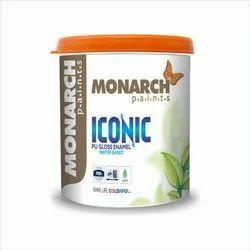 Monarch Paints India Pvt. Ltd.
We are a leading Manufacturer of iconic pu gloss enamel water based from Bengaluru, India. An Iconic Product which is innovative and with high sheen green coating water thinnable to be applied to various substrates like Wood, Metals and Concrete with excellent gloss and adhesion. 4. Excellent adhesion to Metals and Wood.